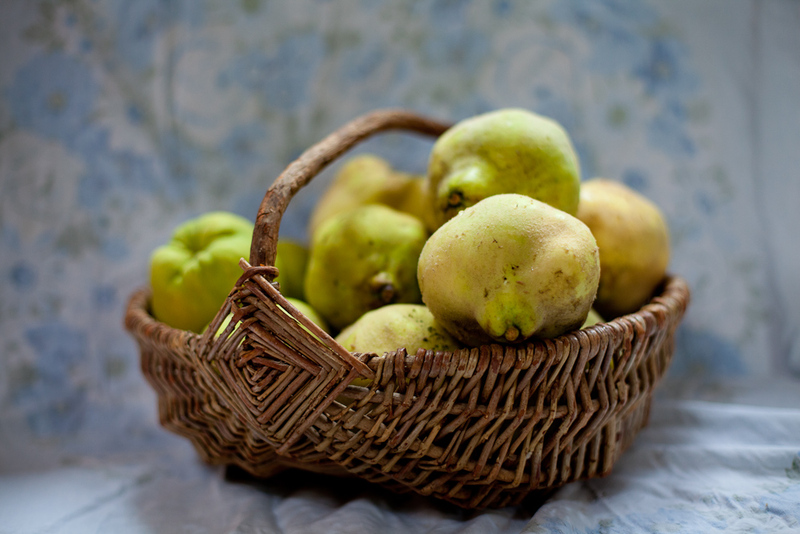 For many years in Melbourne, I would ride my bike in search of quinces. Near CERES, Brunswick, I found two maybe it was three small trees, planted along the nature strip. I would knock and ask the nearby house, if I could have a few. And the kindly man would always let me take many. I would load my panniers, till very full and then head home like a girl who had found treasure. Always I would open the big stripy Stephanie book in search of Q. Now I have my own tree and this year the harvest is bountiful. The size and colour very good too. So I have stirred and stirred, for 3 hours or four, dipping in and out of an SBS film, until the quinces, seeds and skin had all turned a dark amber cream. Thick and sticky, bubbling mad, I poured the lush paste into big trays. And then in the oven all night long at the very lowest temperature that it could manage. And now in tubs, ready for visitors, is my quince paste. And in the fridge, some tasty cheese. I am so pleased. 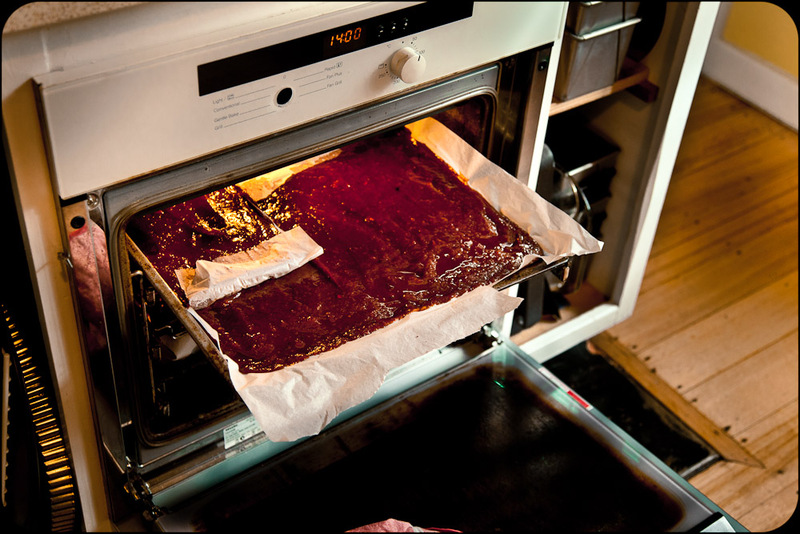 Large trays of quince paste drying in the oven.